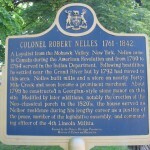 Nelles Manor, the building itself, has a long and colourful history. Originally built by Colonel Robert Nelles, the manor was built in stages. Initial construction on the house was done from afar. Robert Nelles and his family lived “across the road” in a log cottage that is no longer existing, while the manor was built piece by piece. The most crucial parts of the house were built first, which in those days included the cooking kitchen with its wood burning fireplace along with a small amount of living space. 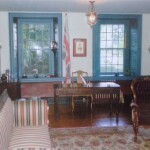 In 1788, the year Robert was married, construction began on the house. After the initial build of the kitchen, the main part of the house was constructed. The manor itself was built to last, and is literally rock-solid. The main walls of the house are an astonishing 3 ½ feet thick, built of local quarry rock. The walls were built thick to support the large upper structure of the house, which for the time and location, were extremely ambitious. Scottish stone masons and ship carpenters from across the province were brought in from the larger cities like Kingston and Niagara on the Lake to work on these walls, fireplaces and structure. The thick stone walls give the windows their distinctive deep window wells. The main structure, floors, ceilings, and stairs are all built primarily of wood, some of it from local black walnut. The walls were built of plaster and lathe, primarily straw and horse hair plaster. Almost all of the original plaster construction remains primarily intact from the original construction – very unusually for a house of this age and one that was so well used through the years. 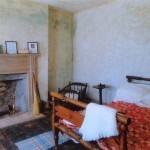 The house went through a number of renovations over the last two centuries. 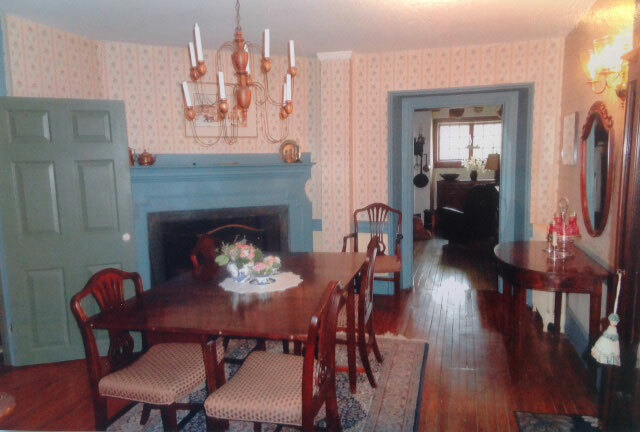 The Nelles family remained wealthy throughout the early 19th century and a number of “upgrades” and changes were undertaken on the house in the 1820- 1860 period. For example, many of the floors were upgraded at that time from pine to much finer and more durable hardwood flooring, such as the Maple floors seen in the living room and parlour. This transition is still unfinished – both the old and new floors can be seen very visibly in several rooms, including the old kitchen where remains of the old floor are integrated with the “new” floor. The largest renovations completely changed the look and feel of the house. These consisted of two main changes. One was the re-alignment of the house from facing north (to the lake) to facing south (toward the escarpment as it does today), second was the addition to the east end of the house and afterward the conversion of the house from a single family dwelling to apartments. 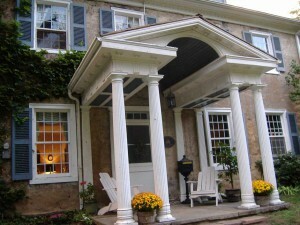 Circa 1820, the neo-classical portico was added on the south of the house to present a front façade to the Stone Road, rather than Lake Ontario. The reversal of the house alignment was a very significant step how the house was viewed. Originally, the house faced South, towards Lake Ontario. This can be difficult to imagine at this time, as the house naturally seems to face the other way. But the details can be seen from the original intent of the builder – the large double doors facing South, not north, and the staircase to the second level also facing the North doors. As the house was built in the Georgian style though, with symmetry throughout, this switch could be made with relative ease. The South entrance was formalized, so that the house now faced what had become the main thoroughfare in the area since the design of the house, what is now highway 8 or Main Street in Grimsby. The addition to Manor’s east side was undertaken in the 1950’s. 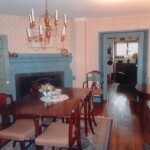 This represented a very large increase in living space and changed the style of the house. This added the flat roof area seen to the right of the house. This construction extended the living areas, and allowed a much more significant conversion of the house to apartments. Over time, more and more of the house was partitioned off to apartments. 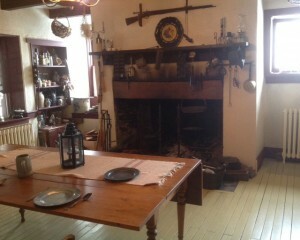 At it’s zenith, the house was divided into 7 completely separate and independent units. The décor and moldings were converted to a “modern” 1940’s to 1960’s style, and walls were built to separate the apartments. 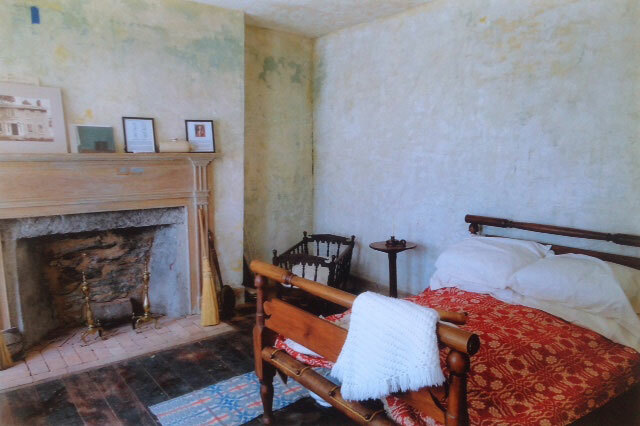 When finished, not much was left of the original look or feel of the Manor’s interior. Very significant in this change however, was the fact that these renovations were “built in” to the house. That is, rather than ripping out the old walls, doors, fireplaces, etc to make the new apartments, the changes were almost exclusively built inside the walls and on top or below ceilings without removing the older parts of the house. This is a testament to the size of the house and rooms – both the general large area of most of the rooms and the high ceiling heights. Incredibly, much of the trim was even left in place or simply removed from the walls to the basement. This “built in” construction is why most of the plaster walls remain intact. This made all the difference for renovations that took place later. Barry and Linda Coutts purchased the house in 1972. Originally they were looking for a historic home that they could renovate, but one that could generate an income while they worked on it. The Nelles Manor, at that time ripe for renovation but divided into 7 apartments, was exactly what they were looking for. Barry and Linda spent the next 43 years of their life tirelessly working on “undoing” all the modern construction that had been undertaken on the house. As with any large scale renovations, some were much easier than expected, many much more difficult. Financed on their own, they undertook the renovations personally. 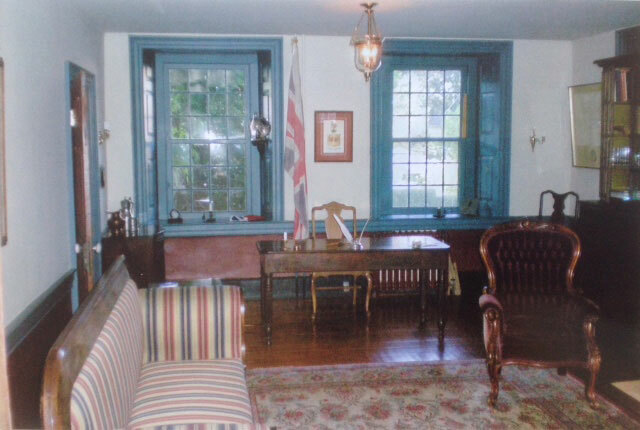 Most all of the renovation work was done by their own hand, learning on the fly and through excellent education programs such as the renovation and restoration programs in Niagara on the Lake and Queenston. In 2015, Barry and Linda decided that they needed to formalize their arrangement with the house, and make this manor into a museum. 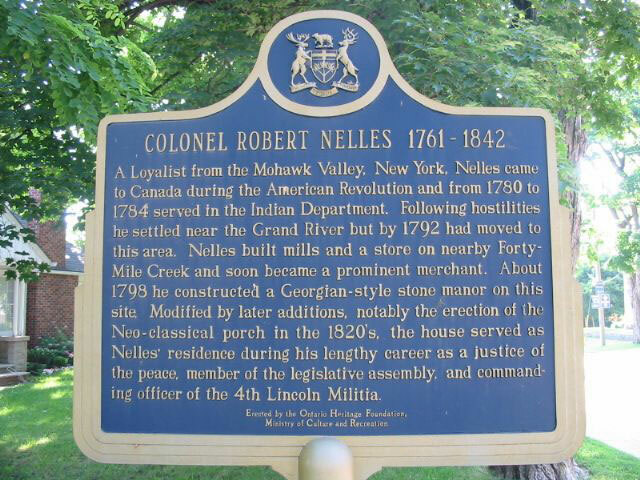 They donated the house to the Nelles house foundation in 2015.